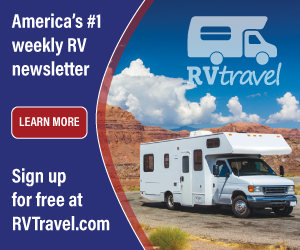 The RV Doctor: RV Labels Needed - Update! RV Labels Needed - Update! Typically, RVers will usually make their own labels for the various compartments, nooks and storage areas on their coach when necessary, Bob. 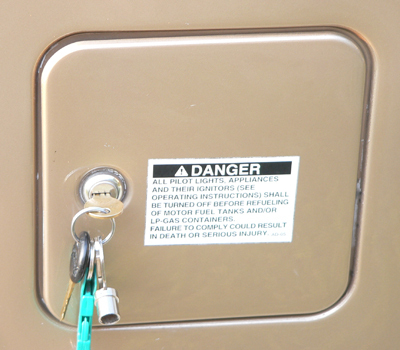 In some cases, labels affixed by the original RV manufacturer can sometimes be found at a selling dealer for that brand of motorhome. However, I did find a thread in an online RV forum here that may be helpful. It seems like the respondents there were of like mind! But other than the original manufacturer or a dealer, I’m not aware of any aftermarket sites that sell those types of labels; sorry. Perhaps one of our readers has another suggestion. UPDATE! 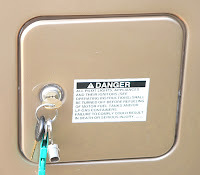 After Bob's question appeared on RVdoctor.com, one company, The Master's Edge, in East Berlin, PA, offered their expertise for any RVer needing new compartment labeling or other graphics for their RVs. Feel free to visit their website to see if they may be of assistance. Gary Bloomfield of The Master's Edge, works with RV dealers providing striping and other graphics as needed. Labels: Accessories, Exterior Care, Misc.